Stretch marks? No, but some stretching. Sleep: Not bad...but some middle of the night waking up is happening at random. Best moment this week: Moose's Birthday party--I know, not baby related, but my husband is 30! And he's going to be a daddy this year! So it's sort of a big deal. Movement: Nothing I can feel yet - too early. Food cravings: Pineapple still! And I might be making a daily run to get an egg and cheese croissant. There goes our budget! Anything making you queasy or sick: SMELLS SMELLS SMELLS! One person will tell me how big my "cute little bump" is getting and then the next will say "you don't even have a bump". PS--why do people feel like it is their right to talk about, touch, ask to see your stomach?! I truly do not understand and find it very odd. Gender: less than a month!!! Wedding rings on or off? On during the day, off at night. Ouch. 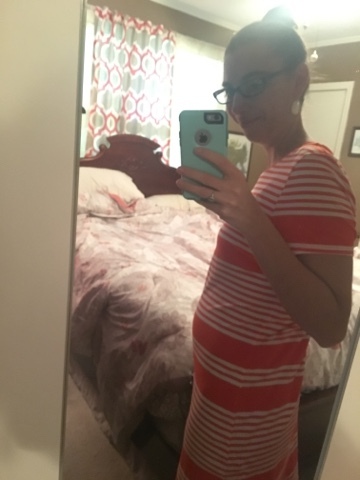 Milestones: This is the end of trimester one!!! Baby is growing like crazy! Major Happenings: sweet baby Saville is entering the growth stage. Baby has teeth, vocal cords, and fingerprints. God's hand on this tiny 3-inch long baby is amazing! What's Been Going On: Feelings-wise, still having headaches a good bit. Tired, but not ridiculously so. Life-wise: the beginning of the end for school, track, soccer, etc! 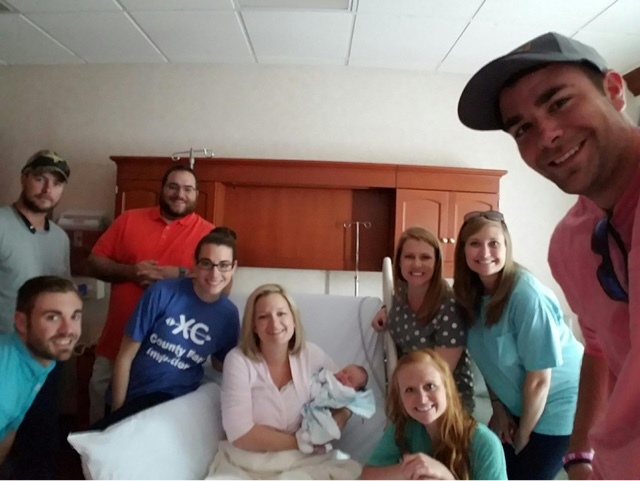 Also-our dear friends, the Hendersons, had their baby Weston this week! This is the year of the baby for our friend group. One down and many more to go in 2016! I'm so excited for our church nursery to be flooded with new additions over the next several months. Congrats PJ and Michael. We love Weston already!!! Looking Forward To: Serious track meets over the next couple of weeks. Having a not-so-crazy week this week so we can get some things done around the house! I die inside when my house is a wreck, but it is the first thing I let go when we get busy. It is a constant struggle these days!!! Baby Saville #1. Week 14 Update.